I’ve been watching, and enjoying, an Amazon Prime Original of William Makepeace Thackeray’s Vanity Fair. I have also found a free Librivox recording of Vanity Fair. I’m about to start Chapter One today. I can listen on my tablet as I work at completing odds and ends around the house. Librivox is a wonderful site filled with free audiobooks of public domain works. There are many classics available for your listening pleasure on Librivox. 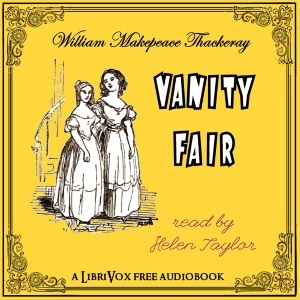 Since I’ve never read Vanity Fair, I’m looking forward to meeting Becky Sharp through the audiobook as well as Amazon’s well-done series. Photograph - He is Risen!